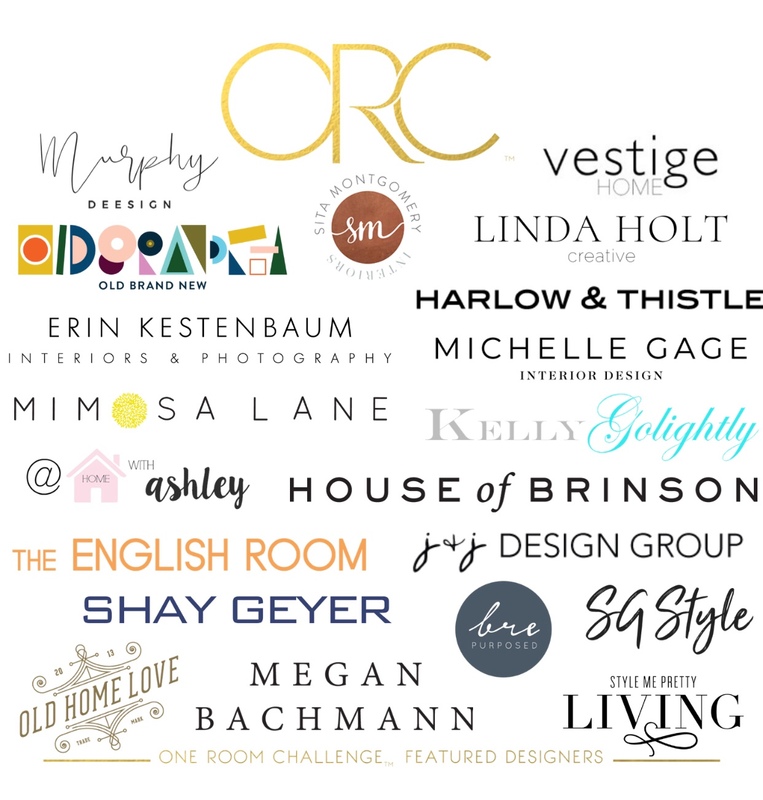 We’ve officially entered into crunch time for the One Room Challenge & the pressure is really on! So much to do before the big reveal in two weeks on November 7th! Slow. Deep. Breaths. Do. Not. Panic.  It’s always good to remind yourself that we’re not curing cancer here. We’re designing & constructing beautiful & functional spaces. 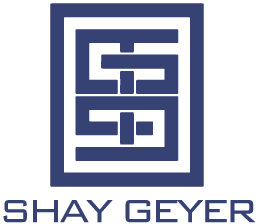 Every issue or problem always has a solution & there is ALWAYS going to be an issue when you’re remodeling or building a home. In situations like this, it’s imperative to have an All-Star team and a calm demeanor! My contractor, Todd Atwood, is on top of it! 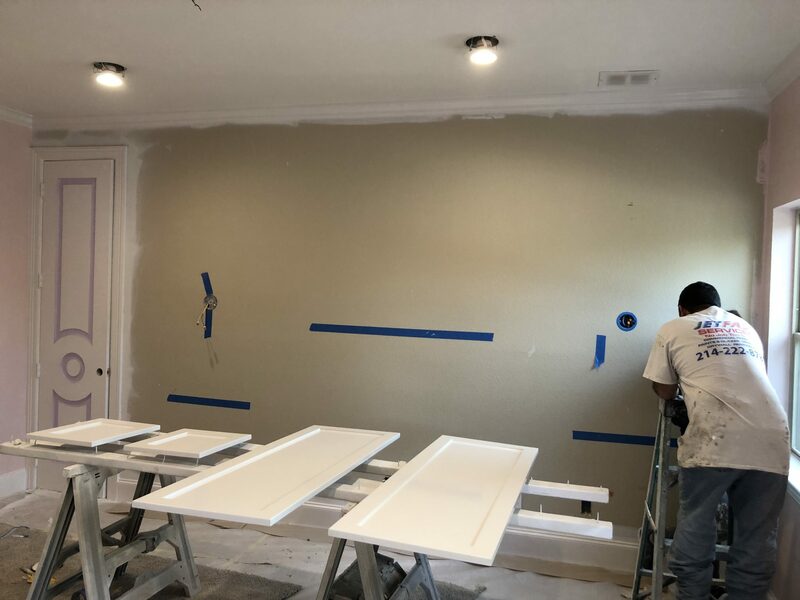 Remember – this nursery is actually a part of a whole house remodel so there is a ton going on at the home right. At this point in the challenge, I typically start getting a lot bossier (is that even possible LOL?) & start cracking my whip reminding all of the trades of the VERY tight deadline we are on. This project is no small feat to be completed in six weeks. 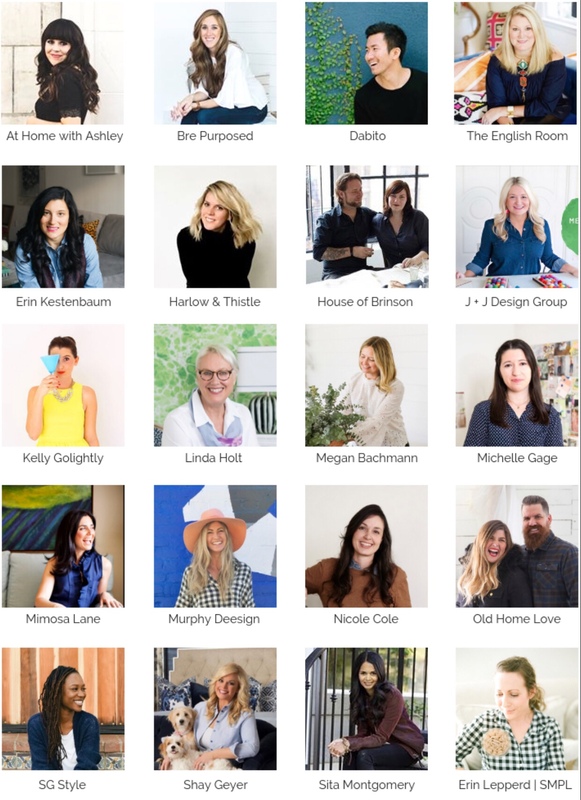 BTW, have you seen what my friend & fellow featured designer Holly Phillips of The English Room has taken on? Girl – your project is more like a One HOUSE Challenge . I’m sending you a little stress relief care package!! Back to my client’s nursery. There is so much to catch you up on! A lot of progress has happened in the last week. In case you missed last week’s update, you can read it here. 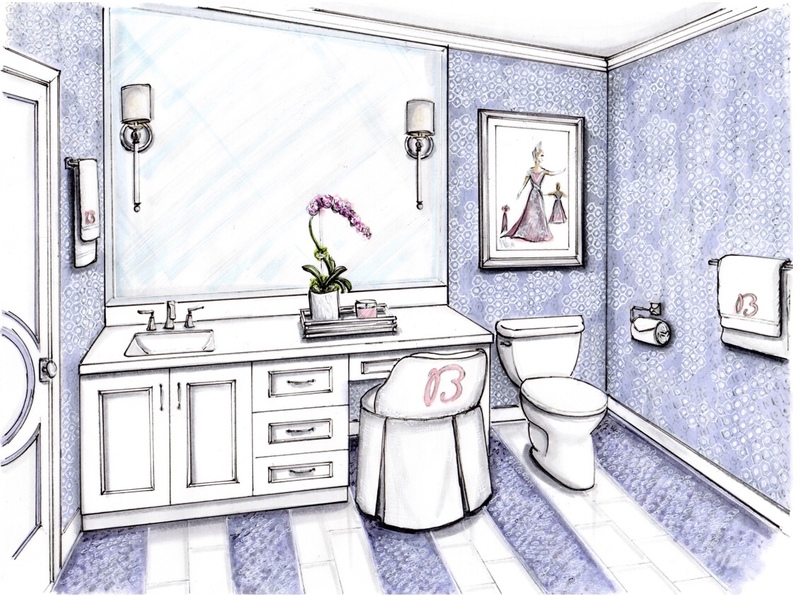 But first, can we take a moment to swoon over this rendering by Jane Gianarelli of what the bathroom design will look like complete? The Hansgrohe plumbing fixtures have been installed. They have a fabulous polished nickel finish. I am just loving how everything is coming together! This Kohler tub from Overstock.com is a new favorite & how cute is the tub surround tile? 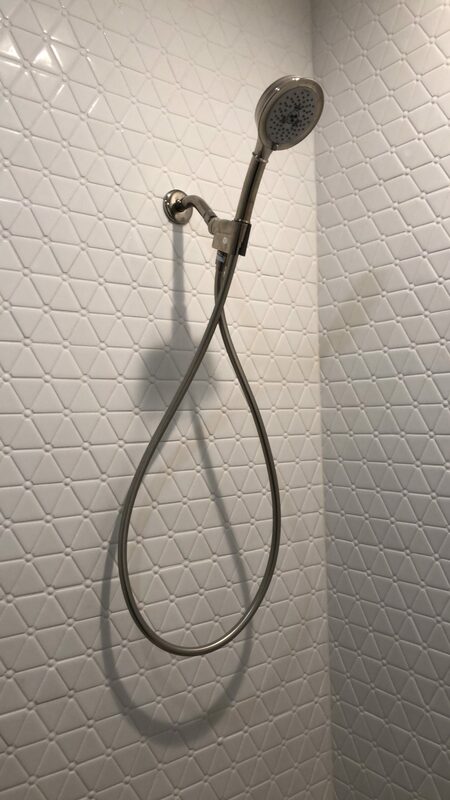 I love using hand held shower wands for kid’s bedrooms & guest rooms. It really comes in handy when you’re bathing toddlers and great for when they grow into teens too. At Casa de Geyer, we often use our hand held shower wands to bathe our dogs too . The new doors are in & the painting is being finished as we speak. 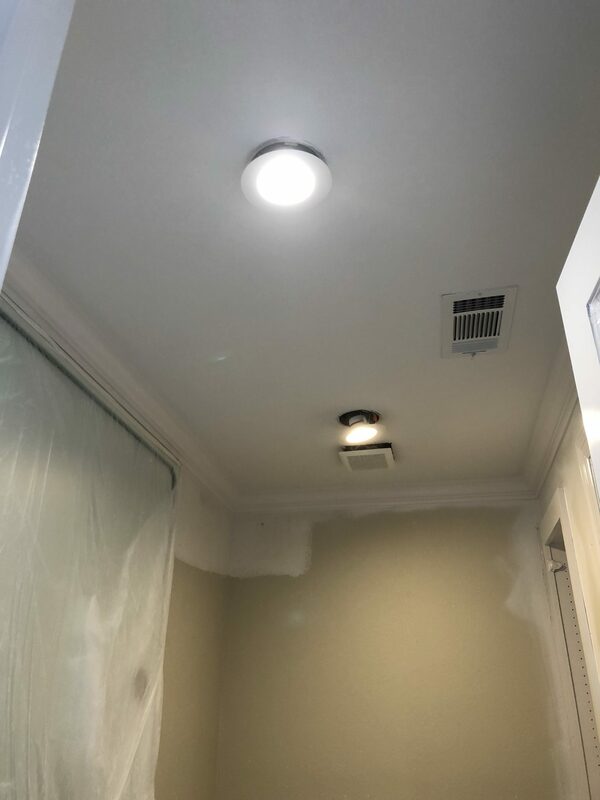 The new LED can lights are also being installed in the ceiling. There is no natural light in this bathroom, so the two cans & two sconces in the mirror are our only light sources. It was very important to get the right color temperature in here to ensure a light & bright space but not be blinding or feel commercial. My favorite color temperature is around 3,000 Kelvin. It’s not yellow but it’s not a harsh bright white either. The new Toto toilet is in now too! I absolutely love how the paint detail on the doors turned out! The doors, crown & baseboards are painted in Sherwin Williams Snowbound in a semi-gloss finish. 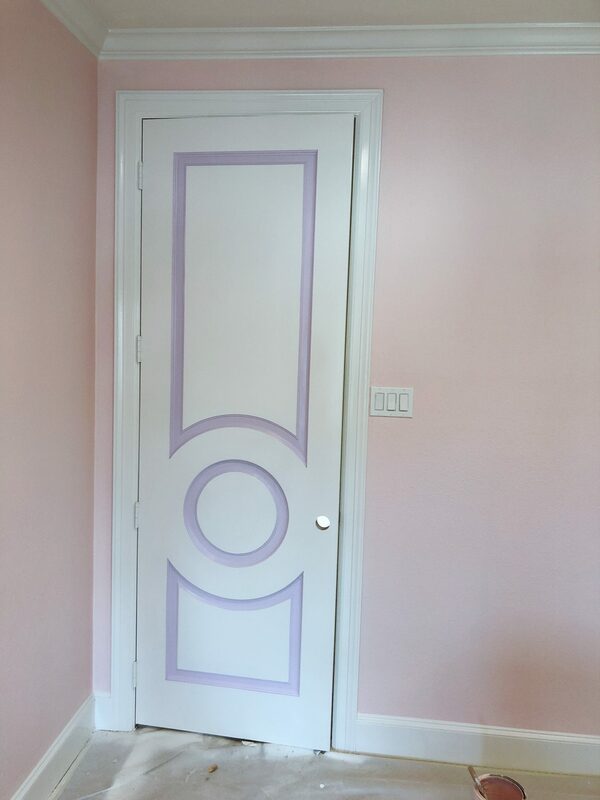 The door detail is Sherwin Williams Potentially Purple (I added 25% more white to the formula). 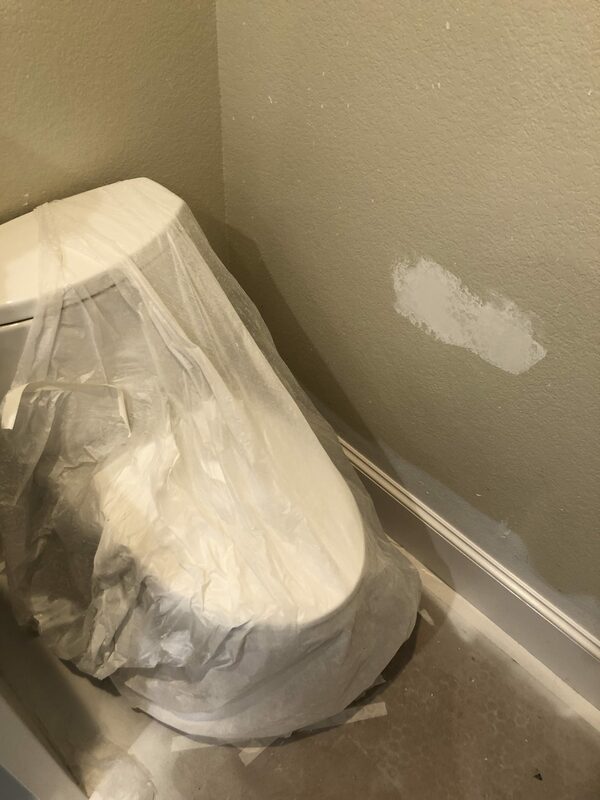 The walls are painted in Sherwin Williams Innocence (I also added 25% white to this formula). The ceiling is SW Snowbound in a flat finish. Let’s talk furniture for a moment. 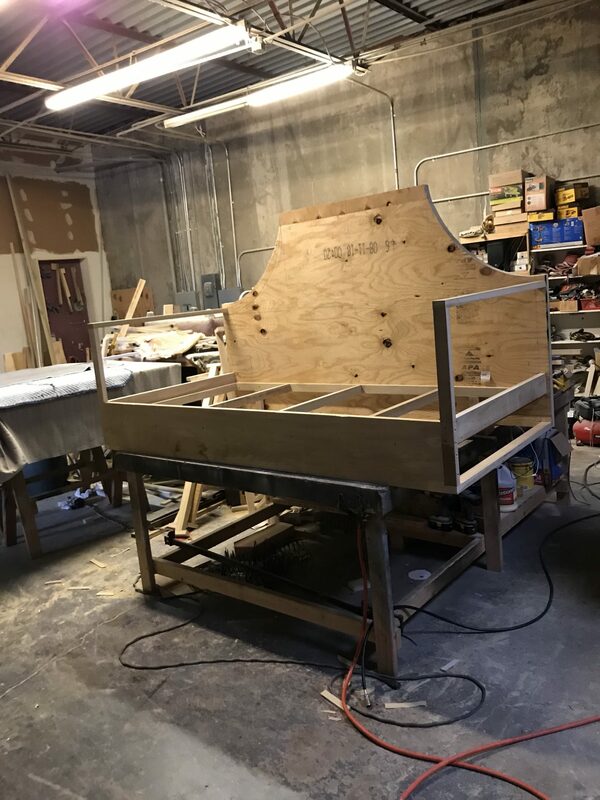 You might remember from the rendering, that I designed a custom day bed for my client. I have the world’s best upholsterer! He has made so many amazing custom pieces for me & other IBB designers over the years. Their quality & craftsmanship continue to amaze me. Let’s check in on it’s progress. 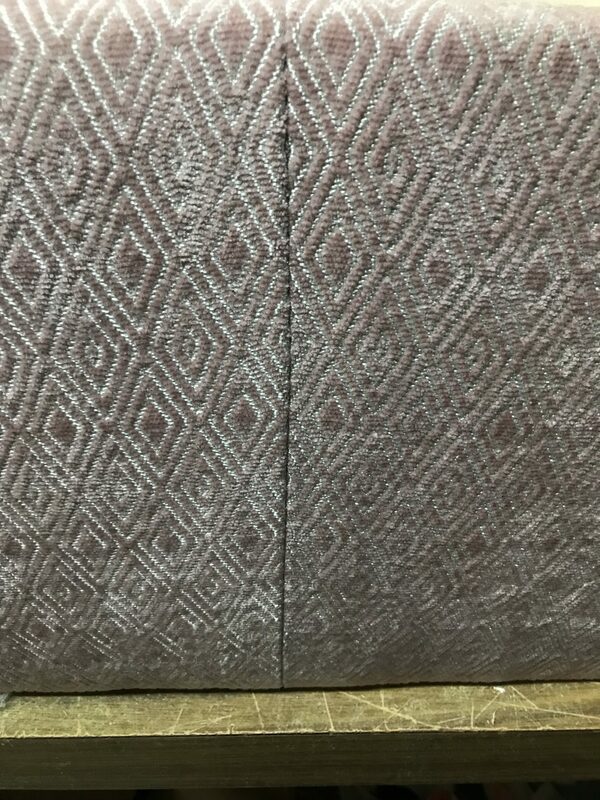 The daybed is being upholstered is this gorgeous blush fabric from Fabricut. Look at that pattern match y’all! 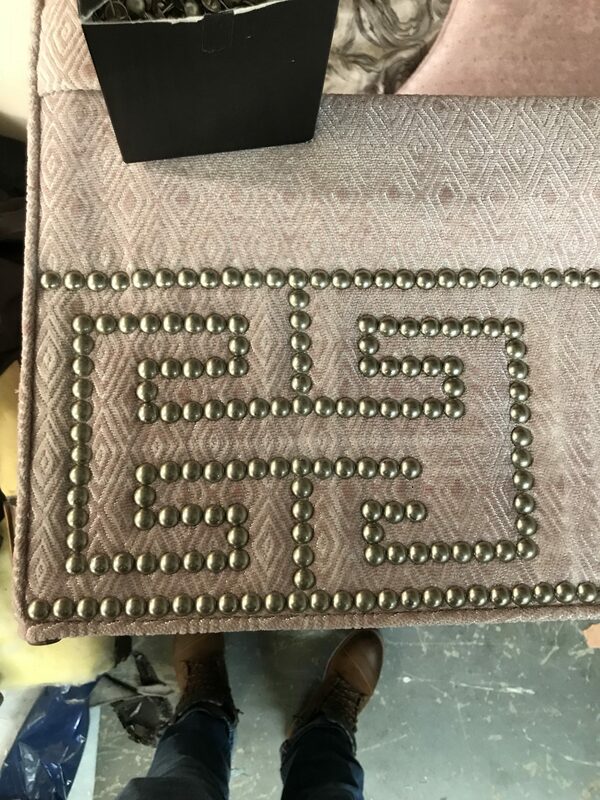 I designed a pretty intricate nail pattern that mimics the Stroheim trim tape we’re using in the room. I thought Luis was going to kill me when I sent it over. Every single nail is hand applied. I’m sure he will let me know exactly how many nails he hammered in . It’s turning out so fabulous though! We will dress the day bed with this white mattelasse from Overstock.com as well as some custom decorative 22″ pillows & a pair of bolsters in this fabric from Trend made in our workroom at IBB. 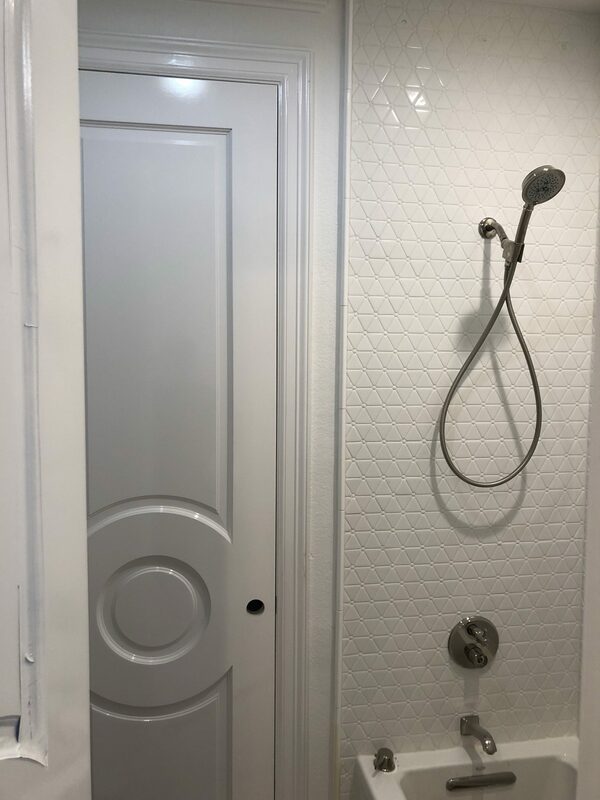 Let’s discuss a few more design details in the bathroom. 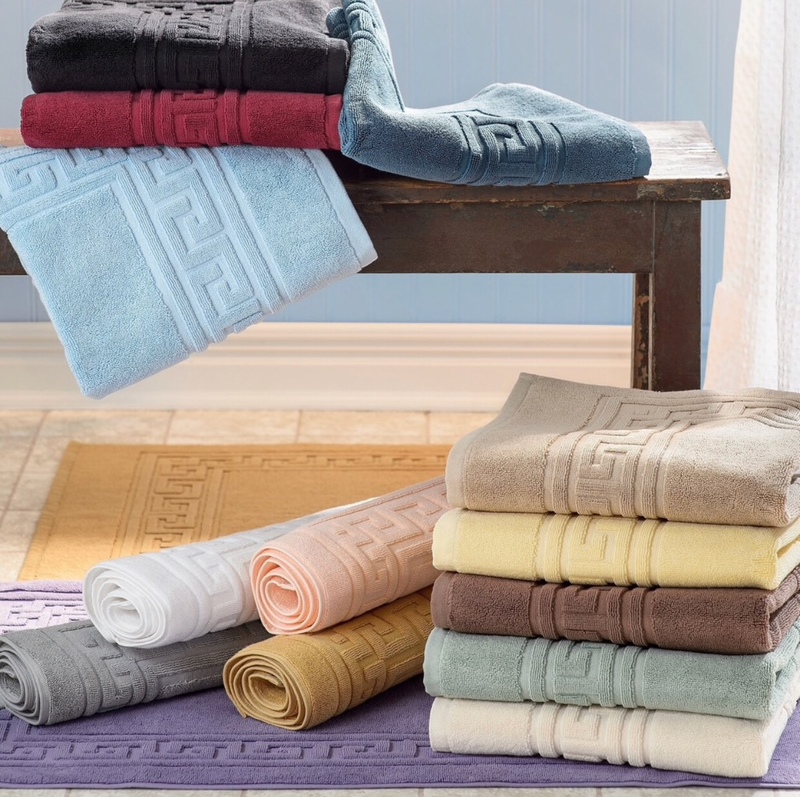 We’re monogramming some yummy plush white hand towels from overstock.com. 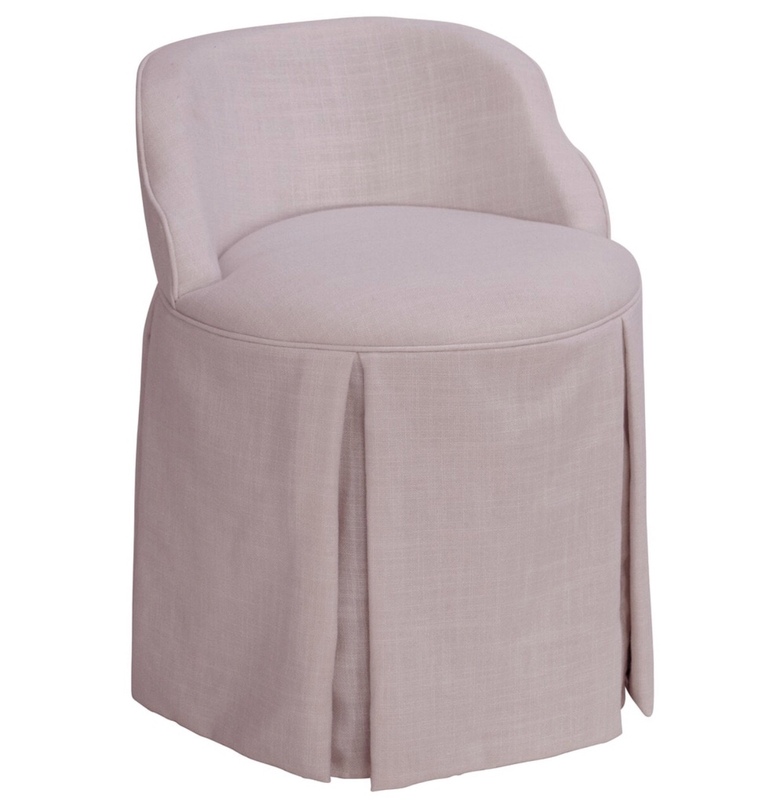 The soft lilac vanity chair (they call it Smokey Quartz) is also from Overstock. 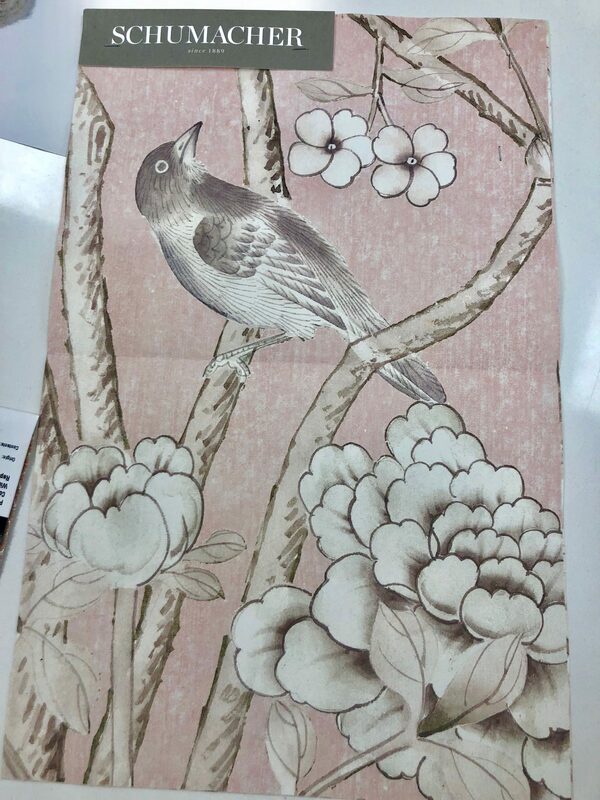 One of our designers at IBB is hand-painting the B on it in blush for us. 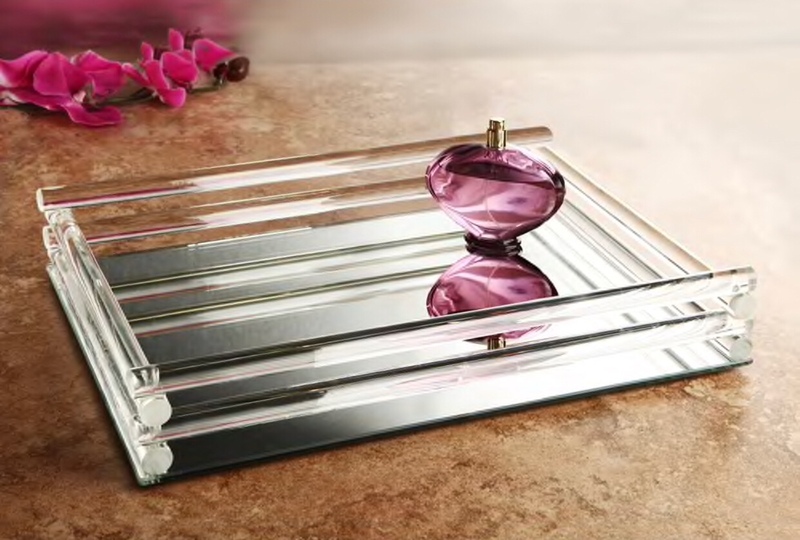 I’ll also be using this mirrored vanity tray from Overstock.com to neatly organize a few bathroom necessities & accessories. 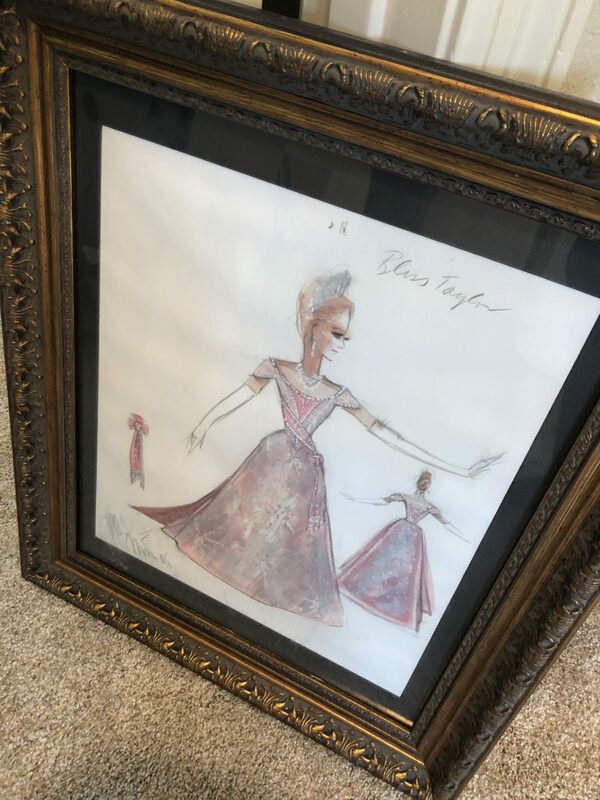 The artwork in the bathroom is a sketch of the custom gown my client wore for the Tyler Rose Parade. I love that the dress colors coordinate perfectly with the nursery colors. We are having it reframed to update it & coordinate with the space. 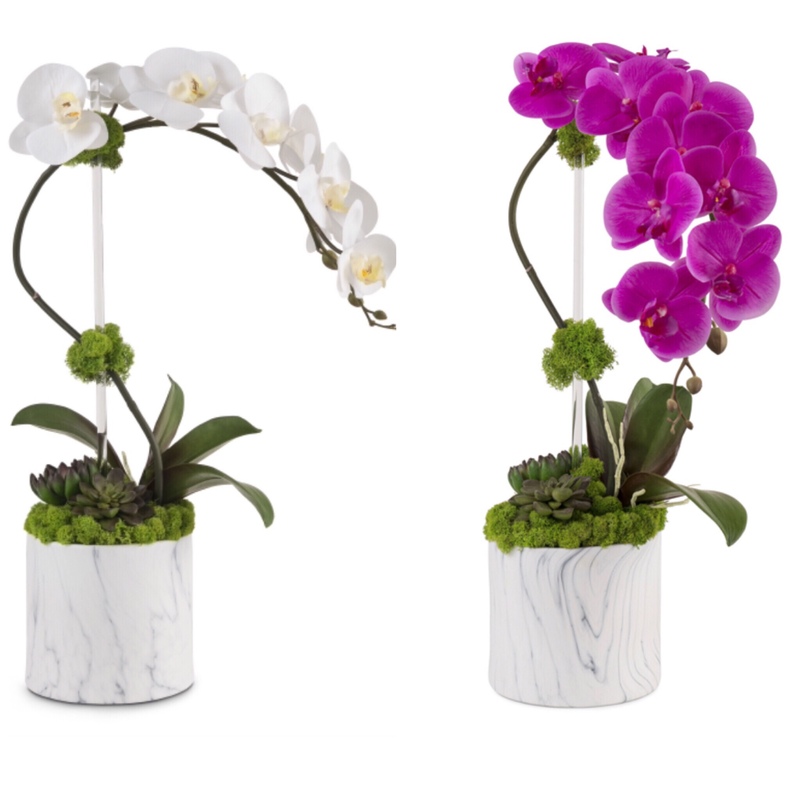 I plan on using the Marbre orchid arrangement from my collection with Botanical Mix. I haven’t decided on the white or the fuchsia yet. Head over to my Instagram stories to weigh in on your favorite on my poll. So – now to discuss the not so fun part – issues. The building & construction in our area is at an all time high. Everyone is busy & everyone has more work than they can take on. Getting trades to show up when they say they will is a challenge in & of itself – which REALLY makes completing this ORC project in 6 weeks even more difficult! 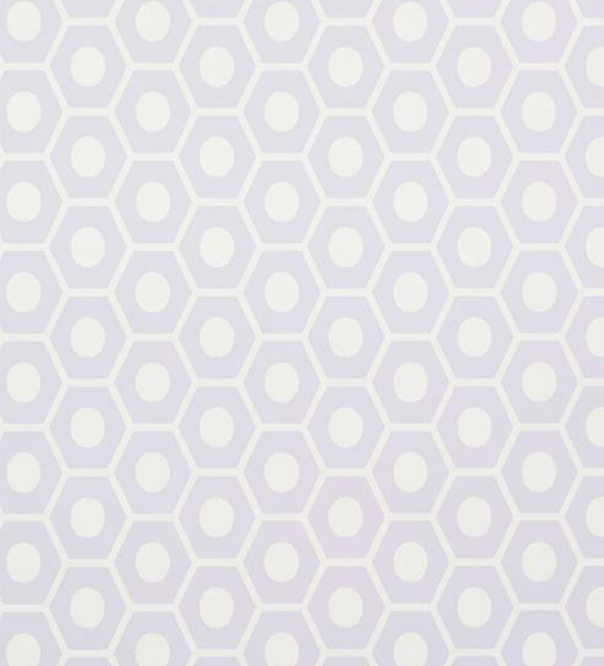 The wallpapers are such a big part of the design. The rooms just wouldn’t be the same without them. The walls will now be getting prepped tomorrow so the installation can happen soon and hopefully we can make up for lost time. I cannot wait to see these papers go up!! Follow me on Instagram & check out my stories for additional photos, behind-the-scenes & sneak peeks! Make sure to check out the updates from the other ORC featured designers & cheer them on! I know we could all use a big group hug right about now! Will we all make the deadline for the big reveal? Stay tuned to find out! We’re in the home stretch y’all! !